The Monthly Ten BONUS Podcast #3 - "Legend of Zelda" Countdown of Epic Awesomeness!!! Today, “Legend of Zelda” fans everywhere are rejoicing over the release of the latest game, “Skyward Sword” for the Nintendo Wii. It’s widely acclaimed and anticipation couldn’t be higher, so in celebration, we’ve recorded a special BONUS installment of The Monthly Ten podcast for your listening pleasure! 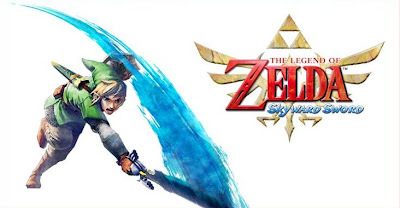 With special guest star Thomas Lack, we count down the Top Ten Zelda Games of all time, and give first impressions of Skyward Sword. Thomas hates public speaking and I’ve never really played a Zelda game, so it’s a very interesting podcast, to say the least….I highly recommend taking a listen, especially since this one is only 34 minutes long! You don’t have any excuse!